For much of the last three decades or so, boxing has lived in a sort of sports limbo. It has been pronounced dead more times than Kenny McKormick, and it is in constant supposed need of saving. On the one hand, boxing clearly is not a part of the American sports mainstream, except for maybe one or two weeks a year. On the other hand, it is overwhelmingly popular in other countries and is a steady money-churning niche sport in the U.S. 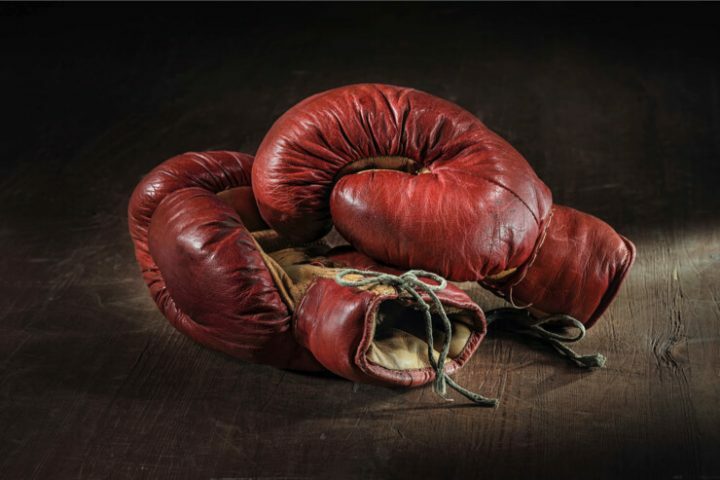 The Supreme Court’s reversal of PASPA on May 14 could have an enormous impact on the health of a variety of sports, so it’s worth asking about one that was part of the big three (along with baseball and horse racing) a century ago and is now a tier or two below that: Will legalized, regulated sports betting result in a revival for boxing? Betting on boxing is fairly simple and straight-forward. There’s no point spread to worry about. The most basic bets are on one fighter or the other to win, and a popular prop bet is over/under a certain number of rounds that the fight will last. You can make more targeted bets on a fighter winning specifically by knockout or decision, and you can do the equivalent of betting a single number on the roulette wheel by picking a particular round, often at long odds, in which one fighter will stop the other. The last time I was in Las Vegas, for the Gennady Golovkin-Canelo Alvarez middleweight championship fight last September, MGM offered an unusual opportunity to bet over or under the number of points a fighter would total on the three official scorecards, a bet that only became official if the fight went the distance. I made a small bet on Canelo at over 339.5 points (basically, him doing better than losing by an average score of 115-113), not because I was confident he would win, but because the chance of one or two judges being friendly to the Mexican cash cow seemed high. I was rewarded when judge Adalaide Byrd handed in an unfathomable 118-110 card for Alvarez in a fight that was fought on roughly even terms, but I lost it right back with my bet at +180 odds on Alvarez to win by decision, as the official verdict was a draw. Atypical prop opportunities like that aside, boxing is an easy sport to bet. You have your fighter you think is going to win, and if you like the price you’re getting, you pick him. But just because it’s an easy sport to bet doesn’t mean it’s an easy sport to win on. In essence, Farhood only bets boxing when (a) he’s not calling the fight for TV, and (b) he sees an undeniable opportunity. The biggest bet he ever made — on any sporting event — came in the first fight between Oscar De La Hoya and Julio Cesar Chavez, a 1996 bout that rising star De La Hoya won by fourth-round TKO due to aging legend Chavez’s face dripping so much blood you’d think he’d bladed, pro wrestling-style. De La Hoya was only about a 2/1 favorite, odds that didn’t reflect his physical superiority at the time. Farhood saw a similar opportunity when washed-up Muhammad Ali wasn’t enough of an underdog against prime Larry Holmes. Considering that many of the biggest fights take place in Las Vegas, where sports betting has been available at casinos since the Union Plaza opened a sports book in 1975, there’s a case to be made that not much will change as a result of other states legalizing and regulating wagering. That said, something might change in terms of more fights being lured out of Nevada. Boxing is already starting to make a comeback in Atlantic City, where on August 4, Sergey Kovalev headlines a light heavyweight doubleheader televised by HBO. But does sports betting have anything to do with that? The fight card is at the brand new Hard Rock AC, which doesn’t even have a sports book yet. Casinos pay site fees to host boxing in order to draw customers who will then gamble on the table games and the slots, and while sports betting sweetens that deal, it’s not a casino’s central motivation. What could boost boxing is when sports betting goes mobile, taking fight location out of the equation. This is true of all sports, really. The greater the convenience, the easier it is to place a bet on a moment’s notice, the more betting there will be. And when a casual fan bets on a sporting event, that person is more likely to watch that sporting event. There might be some hesitance to bet on boxing, however, because, like tennis, it’s an individual sport in which all it takes is one participant to rig a result. Farhood, however, thinks regulation will clamp down on that. “A couple of weeks ago, there was a Wimbledon doubles match involving Fernando Verdasco, and red flags were raised because people who had a checkered betting background made big bets,” Farhood notes. “If there’s a huge bet or bets made on a fighter, the regulators are going to see that. It’s going to raise a red flag. So regulated sports betting could help clean up boxing’s reputation. But it isn’t likely to “save” boxing and make it a mainstream sport again. Every sport has the potential to grow its fan base thanks to sports betting, but not in a way that’s going to dramatically shake up the current sports hierarchy. Boxing, baseball, and horse racing will never die. But they’re never going to become the big three again either.